As the Presidency of the United States changes hands it's a good time to look at that time when Spider-Man saved President Obama. 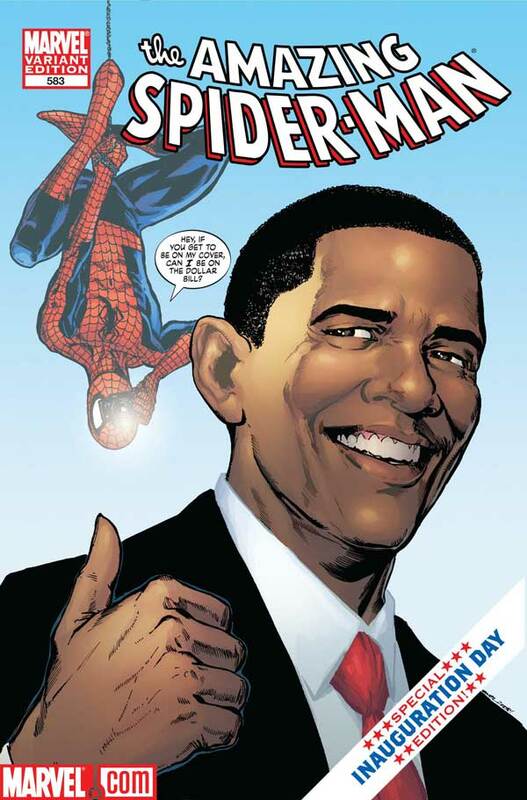 In a back-up story in this issue, Spidey does just that and a variant cover for the issue featured President Obama with Spider-Man as you can see below. President Obama even got word that Marvel had done this and he himself thought it was a pretty cool thing. Even the President can read comics!